"Stocks tend to have relatively high (or low) returns every year in the same calendar month. The pattern is independent of size, industry, earnings announcements, dividends, and fiscal year. The results are consistent with the existence of a persistent seasonal effect in stock returns." An easy-to-use software platform that allows you to scan market data seamlessly, identifying historical trends that match your search criteria. Scanning for historical seasonal trends is simply done by interacting with the paragraph as shown above. Select how many years to look back. 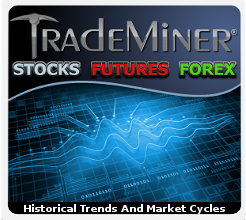 This option allows you to set the minimum number of years TradeMiner will look back to find historical trends. Selecting "Dig Now" will scan through the Historical Database and identify the trends and cycles that meet your criteria. TradeMiner will rank the historical results according to a proprietary ranking system. This system ranks higher the picks with the greatest historical gains in the shortest amount of time, with the least amount of historical risk. The score ranking works on a scale from zero to five, and includes an easy-to-read, color coded key. The variety of charts in TradeMiner allows you to see the results of the previous years, identify historical risk vs. reward and see detailed trade logs of past years' trends. Visually see the historical trend and view the results from past years. In TradeMiner you can select any of the following charts and they will show up in the lower larger Chart Window. This larger view provides and additional details for any chosen trade. 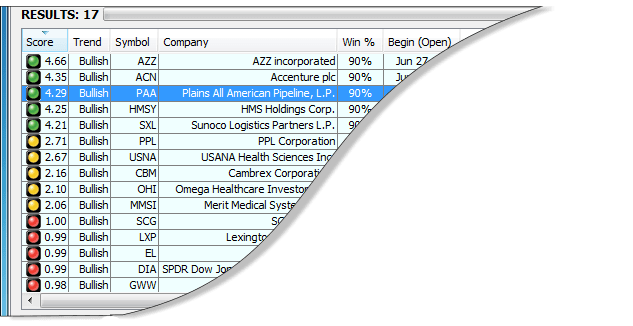 Create custom groups based on a wide variety of filters including Price Range, Margin per contract, Pip or Tic Value, Volume, P/E, Sectors, Industries, and if the stocks or commodities are optionable. Only Search through Markets of interest. Do you only trade stocks that are under $10, or have a minimum amount of volume? Only looking for energy commodities? What about currency pairs that only trade against the US dollar? 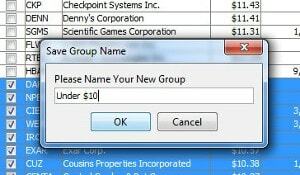 With TradeMiner it is easy to select the stocks, commodities, and forex pairs you want and create custom groups. Now your searches will only show a list of picks from the markets you have interest in trading, saving you the added time of sifting through all the results. 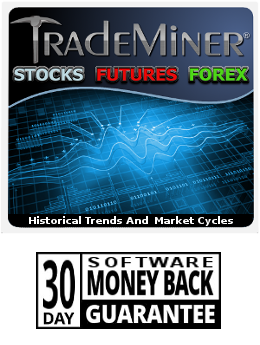 TradeMiner is user-friendly and includes extensive support by phone or email. Buy Two And Get The Third FREE! 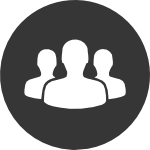 If you're not 100% satisfied with the software, simply contact us within 30 days to receive a full refund of your purchase price. This video is for demonstration purposes only and is not a recommendation to buy or sell any particular financial instrument.